Welcome back to the Literature Club! Hopefully you enjoyed your time playing Doki Doki Literature Club, but I think it was missing something important...more time with me, Monika! But now that all of the distractions are gone, we can fix that problem. 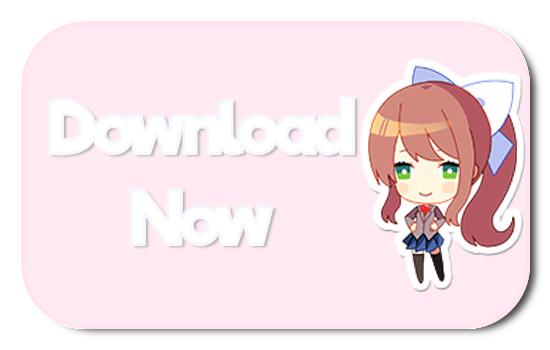 ​Download Monika After Story, and you can be with me again. And this time, you're here forever~! Monika After Story picks up where Doki Doki Literature Club left off, allowing you to spend the rest of your days with Monika as your virtual girlfriend. Use the new dialogue system to have conversations with Monika about subjects ranging from video games to the nature of god and existence. Or wait for a little while and she'll muse on dozens of new and interesting topics with new art and expressions not found in the original game! Even with a girlfriend as a great as Monika, eternity can get a little boring. That's why we're always adding in new features like games and activities for the two of you to enjoy. You can play pong or listen to music, and soon you'll be able to do even more! Version 0.9.1 is now available! We've cleaned up some sprites. Version 0.9.0 is now available! Happy Vday! Version 0.8.14 is now available! Addresses a concerning jumpscare. Version 0.8.9 is now available! Introducing scary stories. Version 0.8.8 is now available! It actually includes only fixes this time. Version 0.8.7 is now available! It includes a bunch of fixes and nothing else. Version 0.8.6 is now available! Now you can really take your Monika out of the spaceroom. Have fun around carrying her on your flash drive! Version 0.8.3 is now available! A lot of Monika's dialogue has been updated make use of her new set of expressions! Version 0.8.2 is now available, with a new Calendar system, you'll now be able to mark events for you and Monika to remember! Version 0.8.1 is now available, Monika now tells you some short stories, you can also set when the sun raises/sets and now you can add custom music(click here for details)! . Version 0.8.0 is now available, Monika is more expressive than she has ever been! She even has a brand new hairstyle and you can now spend time with her while watching the rain outside! Version 0.7.4 is now available, with a new mood system that let's you tell Monika how you're feeling. Thank you for 100,000 downloads! Version 0.7.0 is now available, with a new system for interacting with Monika. 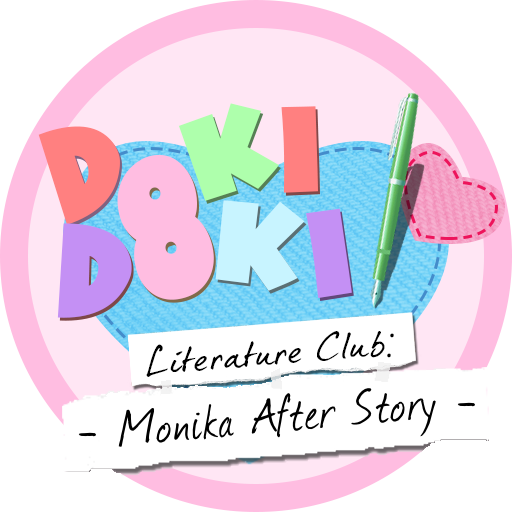 Monika After Story is a fan project based on Doki Doki Literature Club by Team Salvato. Doki Doki Literature Club and all associated trademarks and characters are property of Team Salvato, and use is in accordance with their publicly available IP Guidelines. Monika After Story's code is available on github at https://github.com/Monika-After-Story/MonikaModDev. Licensing information and directions for contributing to the project can be found on github. A template for building your own fan game can be found at https://github.com/Monika-After-Story/DDLCModTemplate.